April 2014 – I Do… Now What? Hey readers! 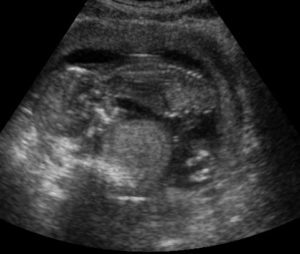 This has been an exciting week, because being 14 weeks pregnant, we were able to go in for an ultrasound to determine the baby’s gender. We found out that we’re having… a boy! We’ve had our baby names picked out for years, and we plan to name our first girl Abigail, which is why we’d been calling this baby by that name. 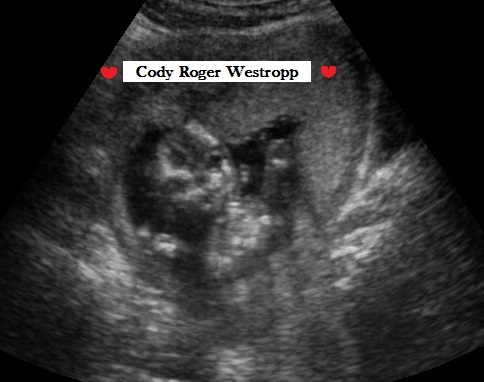 Our first boy name has been picked out for just as long, though, and I’m very pleased to announce that our son, Cody Roger Westropp, will be making his appearance in the world in just about six months. We were able to capture some awesome pictures from the ultrasound, which I will attempt to attach to this post. At this stage in his development, Cody looks very much like a baby—he’s just got a lot of growing to do! But we can see amazing details already, like his hands, feet, fingers, toes, and even some facial features. 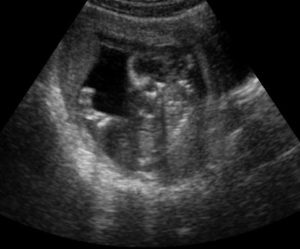 It’s fascinating to see all of the tiny bones in his body, which show up very clearly on ultrasound. And of course, the sound of his heartbeat never gets old. Now that I’m past the first trimester, I’m starting to have some days where I feel better. I’ve been slowly introducing more variety back into my diet; it was solely rice krispies, baked potatoes, and mac ‘n cheese for a while there. Hopefully my nauseous days will soon be behind me completely. It’s been a hard past few months, but I can see the light at the end of the tunnel! In other news, Cory and I recently decided to splurge on a babymoon. For those of you who may be unfamiliar with the term, a babymoon is like a honeymoon before the baby arrives. It’s one last vacation to enjoy life without the responsibilities of taking care of children. Since Cory and I didn’t travel for our honeymoon, and we’ve never been on any trips with just us two, we thought that we should take the opportunity while we have the chance. The second trimester is often the perfect time for a babymoon, because nausea and fatigue have usually faded and the baby’s not big enough to make mom seriously uncomfortable yet. Many pregnant mothers enjoy going on cruises during this stage of pregnancy, and since cruises pack a lot of bang for the buck, that’s what we’re doing. We’ll be visiting the Caribbean in just over three weeks. Yippee! Looking ahead, we have our next prenatal appointment next week. Our prenatal care with the midwives at the birth center has been wonderful so far, and I’m so glad we’ve chosen to have our baby there. We will continue to have monthly appointments until later in my third trimester, when they will increase to twice a month, and then eventually weekly until Cody’s born. 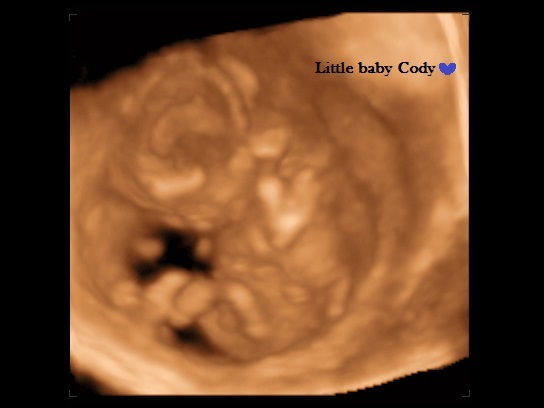 Our next and final ultrasound will be at 20 weeks, and then we’ll have to wait for another 20 weeks to see Cody again on the big day. Fortunately, by 20 weeks he should be pushing my belly out and moving around to remind me he’s actually in there. Even though we know he’s hanging out in my belly, it still doesn’t always feel like I’m pregnant—just nauseous and a little thicker around the middle. It will be nice to have a baby belly as evidence!